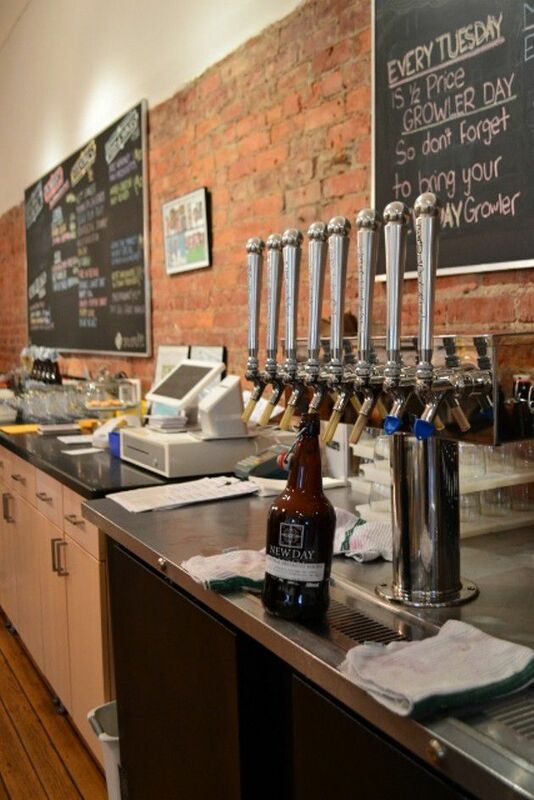 Located in the heart of Fountain Square, New Day Meadery continues to offer an interesting and fun combination of meads, hard ciders, and cocktails. The hard ciders are good (especially the seasonal hot mulled hard cider), but New Day really shines with its meads, including the nicely tart Shelby Blue Ribbon flavored with rhubarb and strawberry. Ingredients are locally sourced, including honey from the Anderson-based Wildflower Ridge and apples grown in Wabash. The food here is a nice complement to the drinks, including meats and cheeses from Goose the Market and truffles from the Best Chocolate in Town. New Day also puts up the work of local artists on the walls, including NUVO’s Wayne Bertsch, on the regular. Plus, they’re located in Fountain Square. So you can easily add a visual arts component, say, to your next visit to the Hi-Fi, White Rabbit or Radio Radio. Over the next few months, dozens of beer-centric events are popping up all around town and you should be there. The latest in local craft brew news, including a Bar Week event that's offering 50 percent off drinks at places like Pizzology and Melody Inn. It's hard to believe that Bennett has been painting seriously for only three years. More and more beer and drinking events are being announced everyday here in Indiana, here are this weeks big announcements. New Day Mead and Cider is now distributing to Ohio after eleven years in business. Plus, they are launching the first craft mead and cider festival in the city. See Don Gummer's new installations along the trail and stop for a few beers along the way. More and more seasonals, one-offs and other specialty beers are being released. Here are the ones you shouldn't miss. Tacos and beer pairings, a barrel aged cider, a new brewery opens, whiskey and beer together and Ales from the Crypt.